Fancy making this? 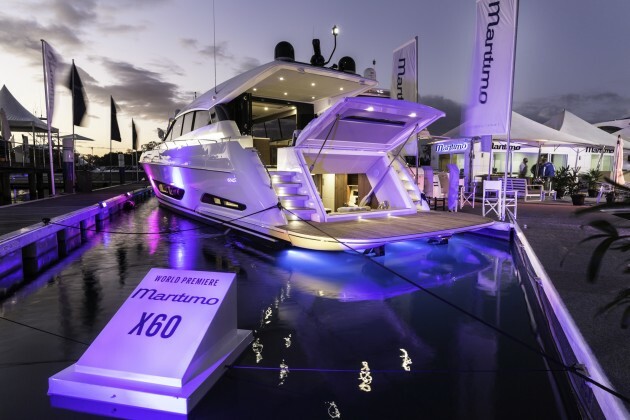 Maritimo is seeking more skilled workers to help build the new X60 model launched at SCIBS. More orders for Maritimo's luxury boats calls for more workers to build them. Gold Coast luxury boat builder, Maritimo, is expanding its production facilities and is looking for skilled production staff to join its workforce based at Coomera. CEO Garth Corbitt said with the production pipeline now stretching out to 2020, the company’s supply capacity requires ramping up to meet demand. “We have had a phenomenal year with tremendous sales success and the task at hand now is to get the boats built,” he said. Maritimo's production manager, Kym Fleet, said Maritimo needs experienced and motivated people with a minimum of three years experience in the industry. “We are employing high skilled people in lamination, cabinet making, fit-out, engineering, varnish and stainless fabrication, all of whom we desire a keen eye and attention to detail,” he said. “Successful applicants will be working in our Coomera based manufacturing facility on the Gold Coast and they will be part of a team producing the country’s leading state-of-the-art luxury motor yachts that are in demand around the globe. Maritimo said it will continue its hiring campaign until the appropriate numbers are met. Further information available from Kym Fleet via email.